Now i don't know what to do??? looking for some advise. The only thing I have worked out so far is i need the substrate to be 6" this way i can reach the bottom. Im going to use crushed coral considering i have tons of it when i over purchased for my cichlid tanks. 1. can I seed my tank with some crushed coral from my cichlid tank? 2. I suppose i will get some rock from the lfs do i have to buy live rock? I am not planning on corals at this time. 3. As far a stocking I have to get some clown fish my 6yr old insists. what else do you recommend? And do i have to get a anemone? If so then would i need live rock and special lighting? I'm not afraid to spend some money with this but I do want to keep it to a minimum. I would not use the sand from you cichlid tank. As for LR, you dont HAVE to get it but it will help you ALOT. If you wasnt to keep cost at a minimum, buy base rock and one medium sized piece of LR to seed it. For anemones, they require VERY VERY VERY high lighting to survive. Some people reccomend over 5 watts per gallon, I personally dont think this is needed, but for a 20" deep tank go at least 200 watts. For what to do start your cycle! You can look up how to do this on google. You will need test kits and for this you SHOULD HAVE LR. It will make your cycle A LOT easier. Your specific gravity should be in between 1.020 and 1.025. Clownfish do not need anemones but they LIKE them. Definately not needed though. You could do a snowflake eel but the only issue is that he might eat your clownfish. They are AMAZING with AMAZING personalities though. I have one myself, and hes one of my favorits. You could do all sorts of fish. Gobies, basslets, blennys, wrasses (not all types. 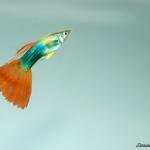 I have a bird wrasse and they require minimum of 125g. I have him in my 150g) and a lot more. Really just personal preference if the fish are compatible. You need to do A LOT of research before getting into saltwater, and I wish you luck. You may also be able to get small tangs. GL! Hi, grats on the free tank and gear!!! I wouldnt use any cichlid crushed coral, actually crused coral can result in nitrates from what I've read so i stuck with regular old argonite sand mostly, you can also use pool filter sand, about $5 for 50 lbs from home depot or a pool supply store. Depending on your lights will dictate whether you should get an anenome or not. Personally I wouldnt get one for quite some time as they require intense lighting, an established tank and pristine stable water parameters. The one I had was more trouble than it was worth so I returned it after a few months. There is also no guarantee that clowns will host, its totally hit or miss. My clowns didnt host the nem but they did host an elegance coral until they almost killed it. Hosting is not always the best thing for clown or host. As far as rock you can buy dead base rock for about $2.5 a lb and add a few lbs of live rock, it will seed the dead rock and voila all live rock after a few weeks. Clowns are a great fish to start with, if you intend on having two though get them at the same time, can avoid aggression and then they will pair up. You should be using ro/di water to avoid any issues, you can buy the water and mix your own salt in, or if they sell it, you can buy their premixed salt water. Depending onhow big your tank is the $60 for a ro/di unit might be a good investment.